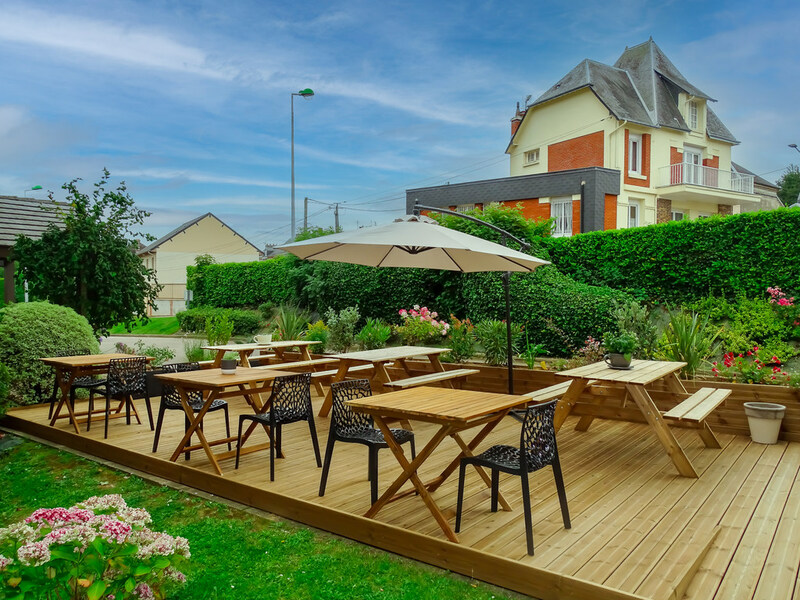 The ibis budget Fecamp hotel is the smart accommodation choice! It is located 9.3 mi (15 km) from Etretat and 21.7 mi (35 km) from Le Havre. Choose to stay in an inviting, modern room when you travel. Rooms for 1, 2 or 3 people with a shower, toilet and s atellite TV - all for a great price. Kick start your day with a delicious gourmet breakfast for a price that won't break the bank! Excellent staff, excellent cleanliness, excellent comfort. Great location. Good breakfast. Room color looks very old and dark. It's weird to have the basin in the room. You take a bath and all the toilet-bathroom place is wet .. not nice for the next user. Low quality towels. Dust beyond chest level. I prefer Hotel 1er Classe look and feel, customer experience. We found the room to be clean and very suitable for our family. All fine, nice quiet location, receptionist welcoming and helpful, even readily had a map of Fecamp on request! An enjoyable stay after a long journey. Staff were welcoming, the room was clean and the bed was comfortable. Good hotel for good price! Nice, clean and quiet hotel. Good service and breakfast. Good location, easy to find, parking available on site, friendly staff. Good Ibis budget experience. Rooms were clean, comfortable beds friendly staff and great breakfast..
Clean, comfortable room. Nice and quiet. More like a hostel. Rude staff after we checked out. Check in staff were lovely, the room was very very basic. Bed was quite uncomfortable. Awful lighting in the rooms!! This hotel is more like a hostel. But at least the room and halls were clean. According to my hubs, breakfast was lovely. The following day we checked out but needed to pop back in to use the bathroom while we waited for a car to take us to a family wedding. The lady was very abrupt and informed us the hotel was closed. Despite me letting her know we stayed last night she refused. This ruined my whole experience! More like a hostel. Rude staff after check out. The room was incredibly basic. Much more like a hostel. The only positives are that the check in lady was lovely and very welcoming, the halls and rooms were clean and my hub liked his breakfast. The lighting in the rooms was awful!! There was no kettle! The bed was not comfortable. The following day after we checked out and were waiting for a car to take us to a family wedding my sister and I asked to use the bathroom inside. The lady was very abrupt and told us the hotel was closed before quickly slamming the door. I would never stay here again!